Get down to business during your next marketing campaign with this item. 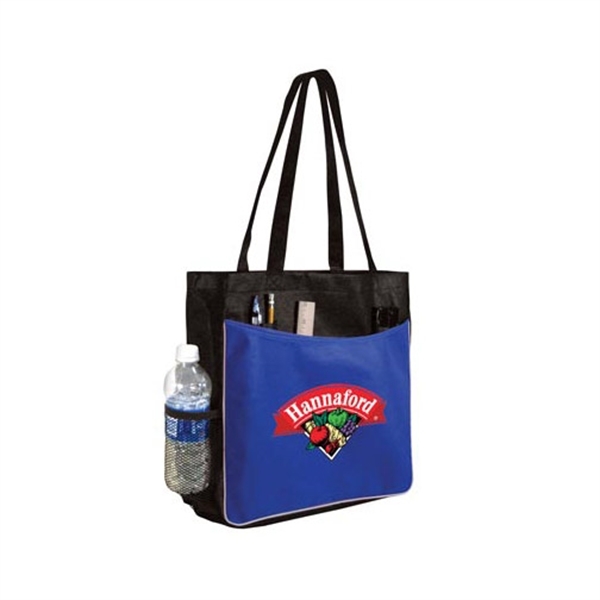 This 90 gsm non-woven business tote bag is available in full color digital. This product features a reinforced 26" strap, interior pen pockets, deep exterior pockets and a mesh side pocket. This bag has 4 1/2" gussets and is 10% reusable and recyclable. Select this item as your giveaway for a competitive promotion within your business. People will love taking this item home!